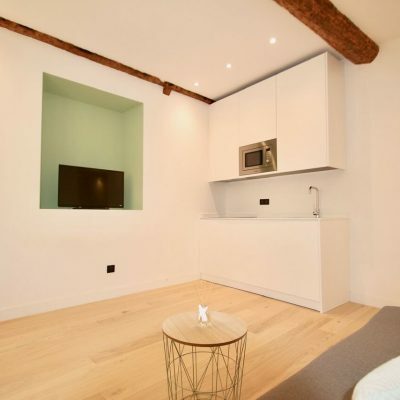 This delightful apartment couldn't be in a better location. 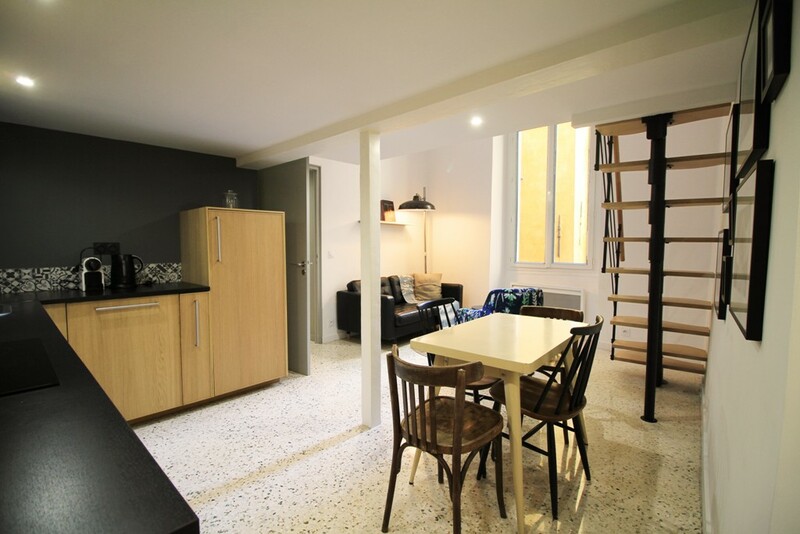 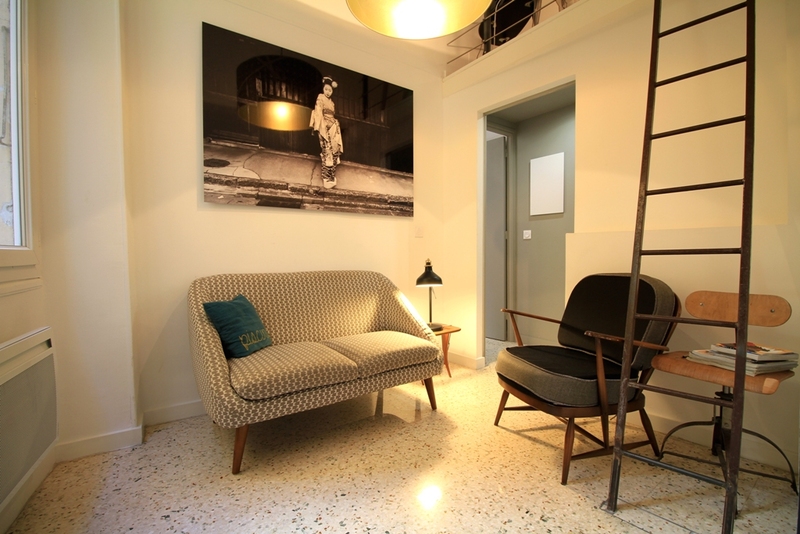 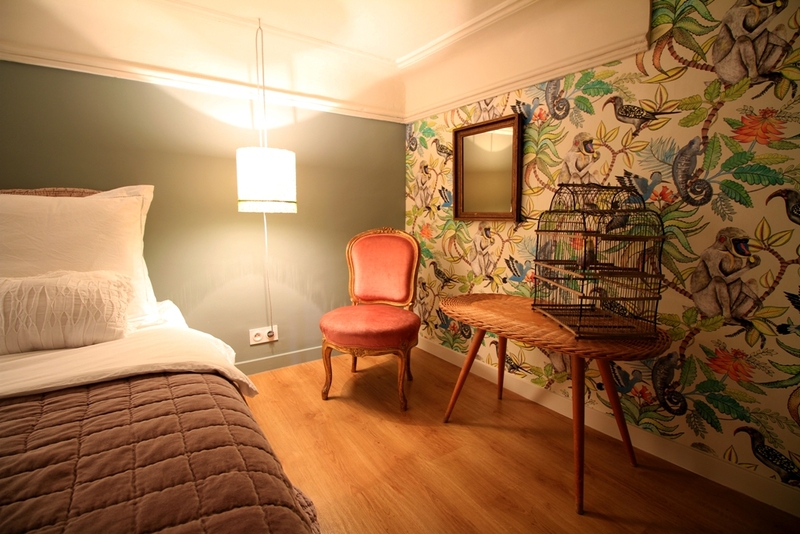 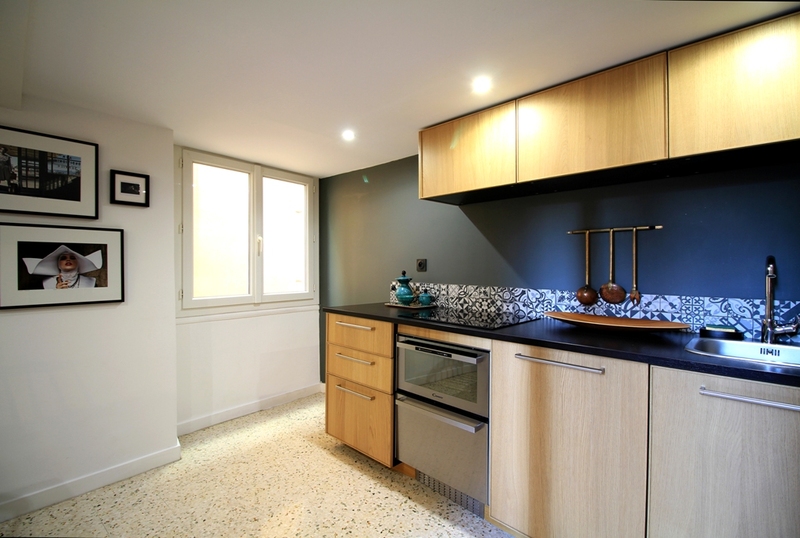 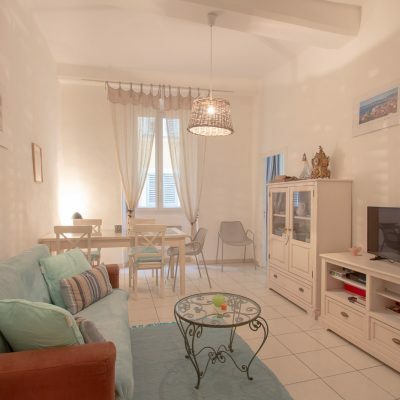 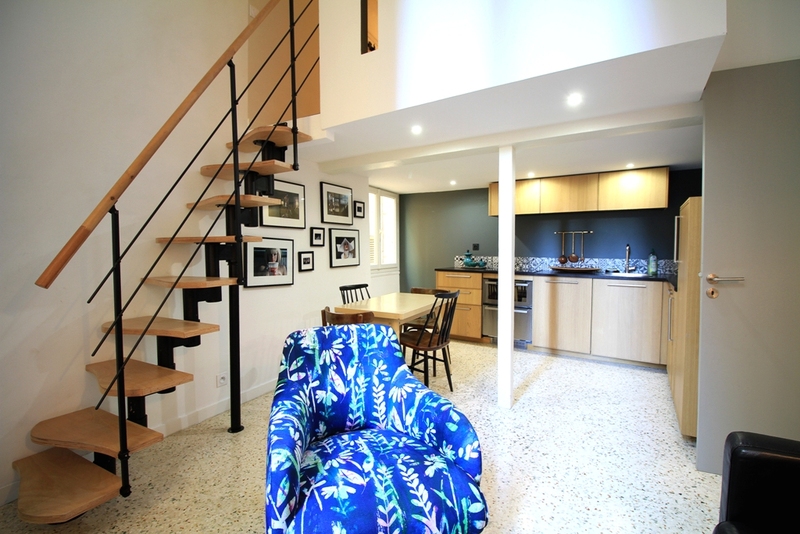 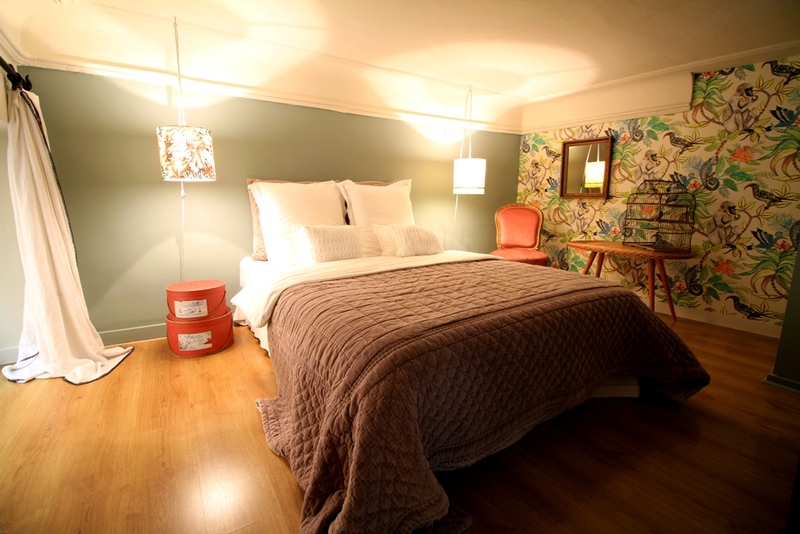 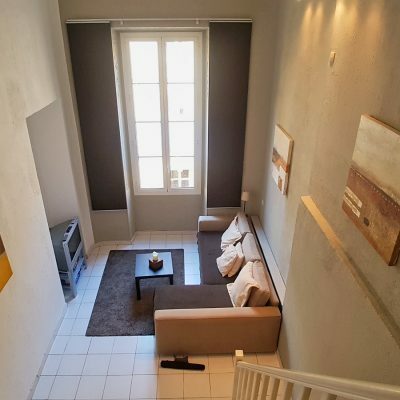 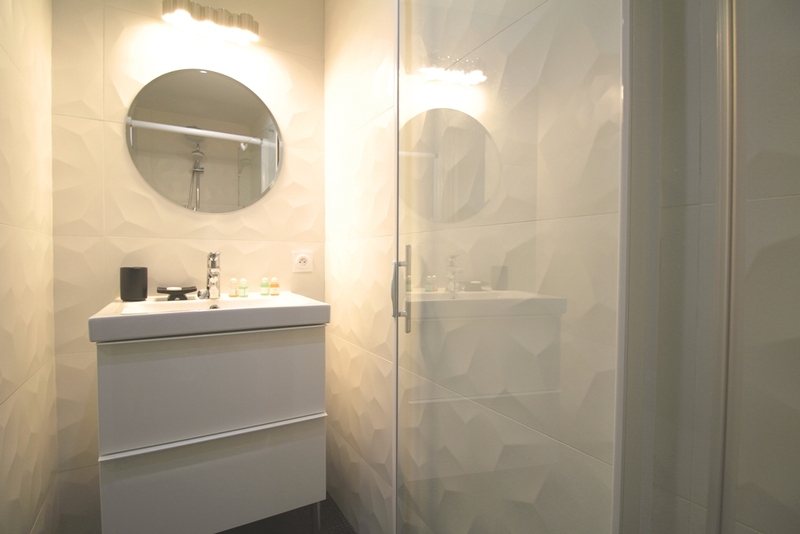 Situated on rue Droite in Nice Old Town it is in the heart of the action. 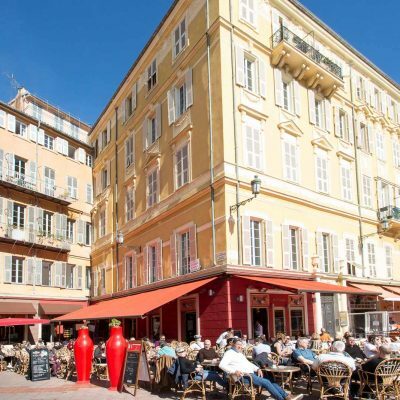 Its location is all the more ideal having the Cours Saleya and the flower market, the Promenade des Anglais and all the benefits of the beach just a minute's walk away. 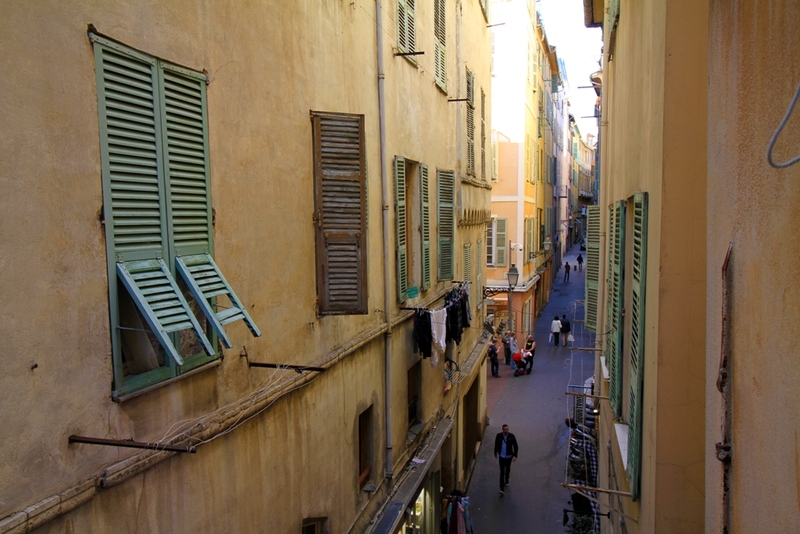 Being on the second floor and set back somewhat from the lane, the apartment is quiet and away from any noise. 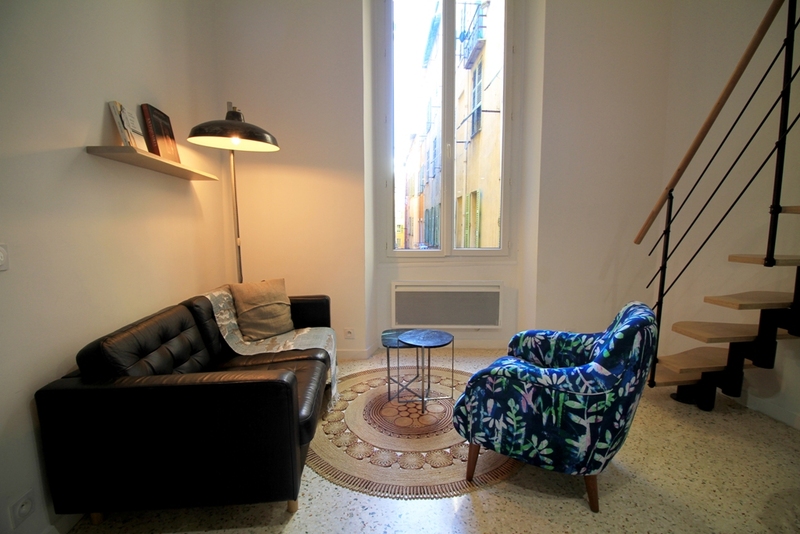 The apartment has been designed and renovated in a very tasteful and elegant way throughout and has a fantastic view of the street below from the main living area. 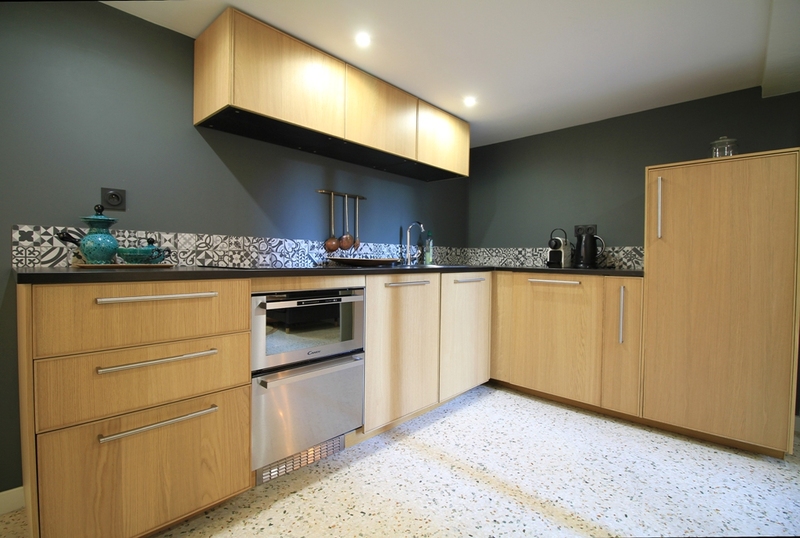 The kitchen is open plan and fully fitted with the latest appliances and benefits from plenty of light from well placed windows. 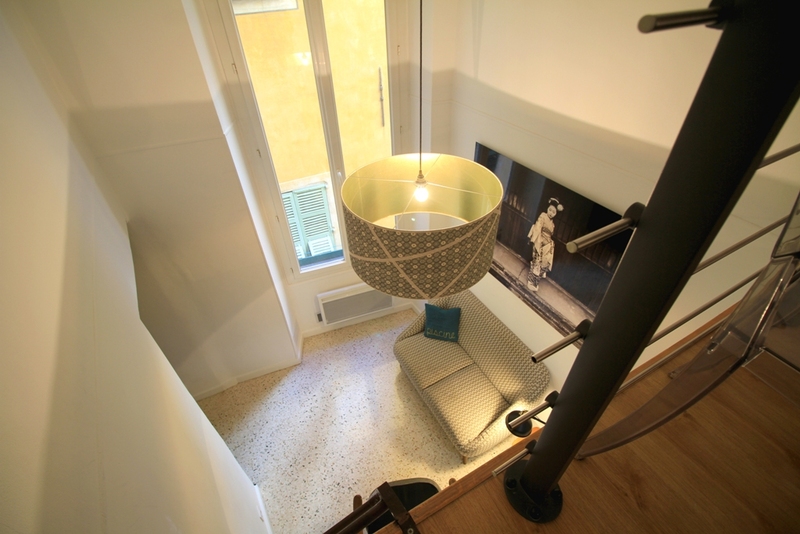 The main living area is stylish and comfortable and some stairs lead up to the master bedroom which is a delight to behold. 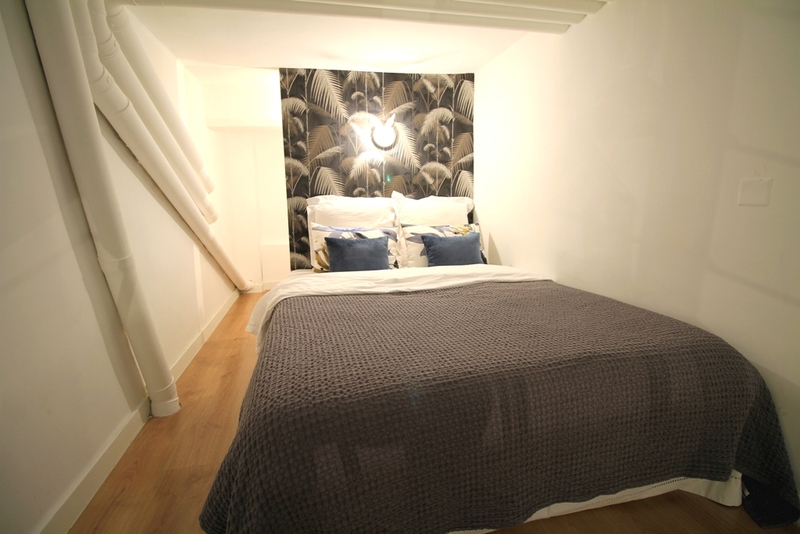 The second bedroom is in fact it's own mezzanine and offers a cosy and attractive sleeping area with plenty of storage space. 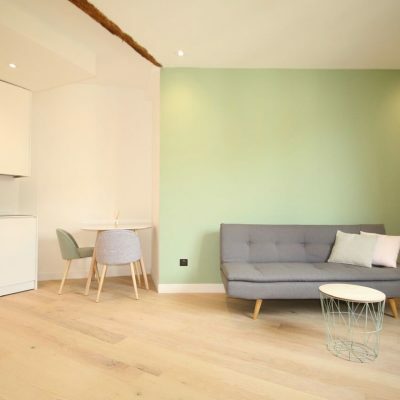 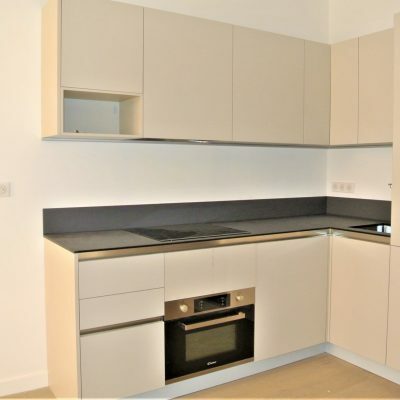 Each corner of the apartment has been considered in a practical yet homely way and will provide any would-be buyer with a perfect living space in one of the best spots Nice has to offer.